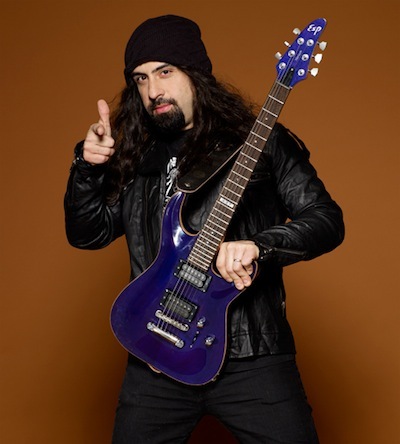 Kelleigh Welch of ProSound News spoke with former Anthrax guitarist Rob Caggiano about why he left the band to become a producer. Parts of the interview appear below. Q: The big question: Why did you decide to leave Anthrax? A: That was a very tough decision to make and it’s also a tough question to answer. There are a number of reasons why I left the band. Some of them are very personal to me but I ultimately have no problem being open about these things. If you were to ask me to give you the absolute main reason why I decided to leave Anthrax, I would tell you that I left because my heart simply wasn’t in it anymore. 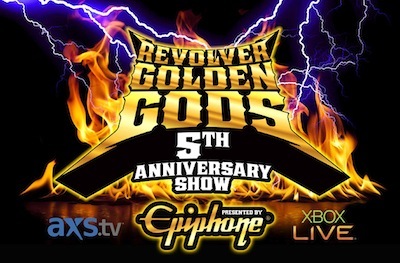 I had a blast playing with those guys and they will always be family to me, but outside of my guitar solos and production work, Anthrax was never a creative outlet for me (musically). That wasn’t by any choice of my own by the way; it’s just the way it is. But at the same time I was committed 100 percent to the band and the relentless touring schedule, etc. It’s been a blast playing with those guys. I love them dearly and I wouldn’t change a thing about the last 12 years, but I guess it just got to the point where I started asking myself: “What the hell am I doing? I’m a musician; this is who I am. Being creative is simply food for my soul. Why am I devoting all of my time and energy into a band where being creative is impossible for me?” It simply stopped making sense a while ago and I ended up feeling very unhappy and unfulfilled. It started feeling like I was just going through the motions and that’s not what music is about to me at all. As soon as I realized that my heart was not into it anymore, I knew I needed to make a major change in order to make things right for myself. Q: So what are your plans moving forward as a producer? A: It’s been in the back of my head that I wanted to get back into producing records because that is my other passion. I’ve always been enamored with recording studios and the whole recording process. Producing records can be a very cathartic and rewarding experience or it can be the most stressful thing you’ve ever done in your life. I say that with a smile on my face because I’ve experienced both scenarios many times over the years. I have some amazing memories and I’ve seen things go down in a recording studio that most people wouldn’t even believe. Making records is a lot of hard work and to be honest, I usually can’t even listen to an album I’ve worked on when I’m done with it. It’s the smiles and excitement people have when they listen to it that make it worthwhile for me. I’m actually in Denmark right now producing the new Volbeat album for Universal and I’m extremely amped up about this one. It’s the best thing that could have happened to me at the best possible time, and so far, I think it’s my best work to date. Leaving Anthrax was an emotional decision, but it was also extremely liberating at the same time. I definitely feel like I made the right choice. Q: Given your background in metal, is that the genre you prefer to record, or are you open to working all types of artists? A: My musical taste is very wide and varied, so I don’t really have a favorite genre, to be honest. Of course, I made a name for myself in the world of heavy metal, but I feel like that’s just the tip of the iceberg really. I would really love to start doing some cutting-edge pop stuff. I usually hate formulaic music, but some truly great records have been coming out recently and it’s definitely been inspiring. The Fun album is a perfect example of what I’m talking about. It’s straight-up pop music, but there is no “formula” really. You’ll hear crazy tempo changes and arrangements that definitely push the envelope of what modern pop music has been about in recent times. It actually reminds me of how records were made years ago—David Bowie, Queen, Beach Boys, etcetera. So basically what I’m saying is that pop music has been seriously regressing over the years. Q: So will we hear you on guitar again someday? Do you think you will miss playing with Anthrax? A: I already do, but at the same time I’m very excited to see what the future has in store for me. I’m absolutely not giving up my guitar! I’m not giving up touring anytime soon either. I love the stage and I love touring. It’s in my blood and it’s who I am. I just needed to step off the machine to reevaluate things. Sometimes it’s good to do that and with change comes growth. I have a lot to say musically and I’m ready to scream! Read the entire interview at ProSound. 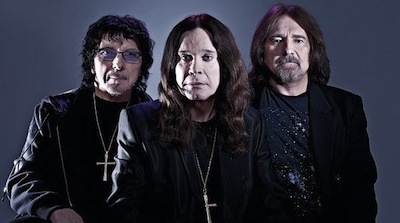 Black Sabbath bassist Geezer Butler says the band’s reunion album with Ozzy Osbourne is the most professional studio project they’ve done together because they are all sober and he’s revealed that the record might not be called 13 despite official announcements stating that would be the title. With the absence of original Sabbath drummer Bill Ward, the band hired Rage Against The Machine’s Brad Wilk for the recording-a move that surprised some fans. The bassist says it was producer Rick Rubin’s suggestion, “He didn’t want a typical heavy metal drummer on the album because it’s not really a heavy metal album. It’s more heavy rock. Rick suggested Brad because he’s more in the vein of Bill Ward. We jammed with him and he sounded great with the stuff, so we went with that. We’re sort of back to the way we used to be in the 70s and that’s Brad’s feel – a sort of jazzy, bluesy feel.” No word on whether or not Wilk will join the band on tour. Black Sabbath’s 19th studio album is due out in June. Whitesnake are delighted to welcome back the one, the only, Mr. Thinder & Lightning… The Strombringer! 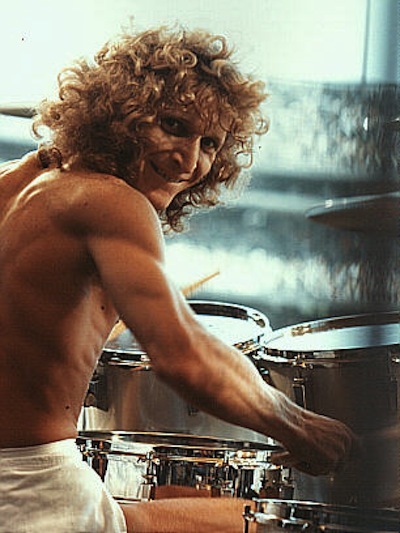 That’s right, Tommy Aldridge is once again Whitesnake’s drummer, replacing the recently departed Brian Tichy. Whitesnake would like to thank all the amazing musicians who honored them by applying for the position of drummer. The band were blown away by so much incredible talent and wish each and every one the very best in their lives and careers. 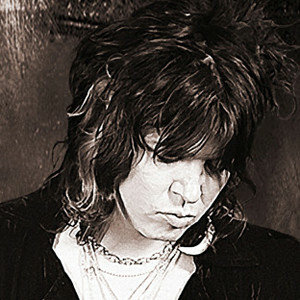 Tommy Aldrudge orginally joined Whitesnake back in 1987 and appeared on the Slip Of The Tongue album and continued drumming for the band until their break-up in 1991. Aldridge rejoined Whitesnake in 2002 for their 25th Anniversary tour before departing in 2007. 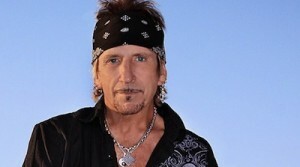 The Station Fire Memorial Foundation, who refused to accept a charitable donation from Great White singer Jack Russell, will receive some of the money after all. Last week Russell announced he’d perform an acoustic show to mark the 10th anniversary of the night club blaze which killed 100, including guitarist Ty Longley, but the foundation said they didn’t want the money. Now the singer, who parted ways with the rest of Great White last year, has revealed he’ll send the proceeds to Longley’s nine-year-old son. And young Acey, who never met his father, says he’ll pass some of the money to the foundation.